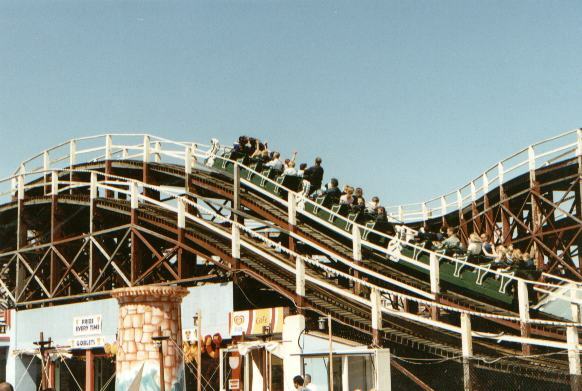 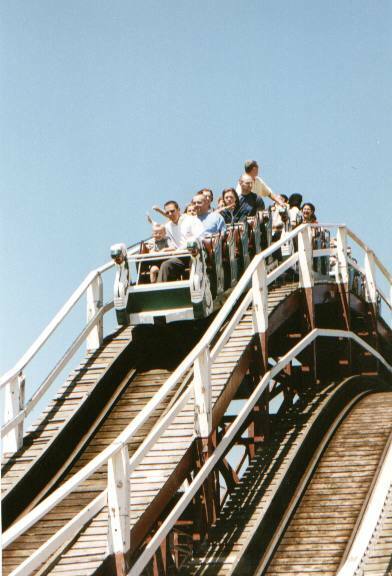 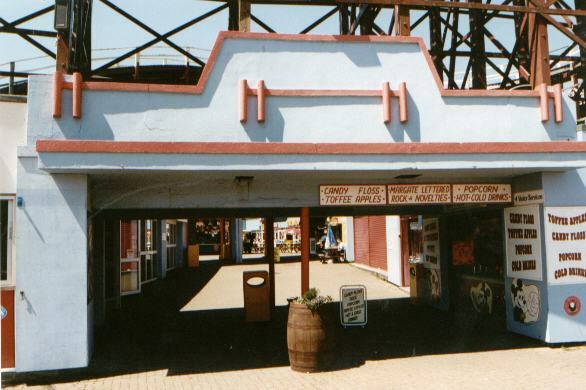 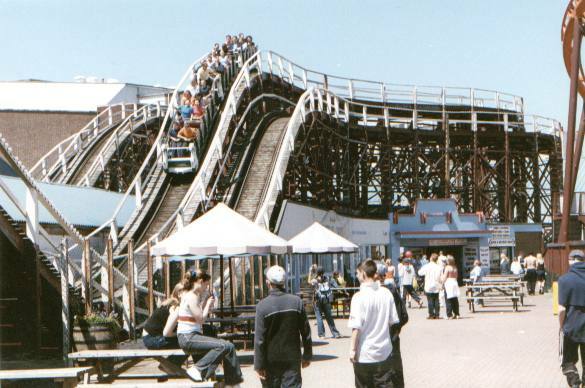 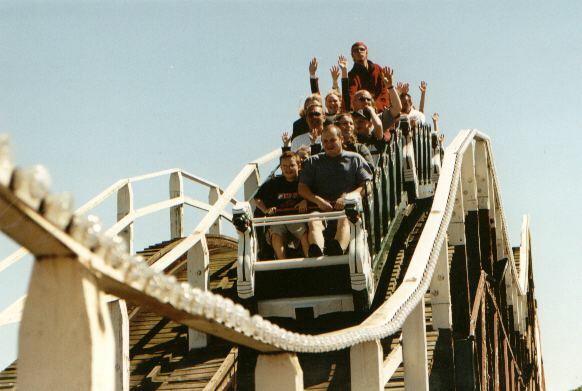 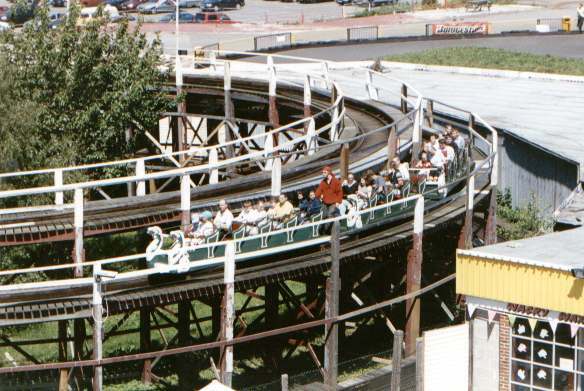 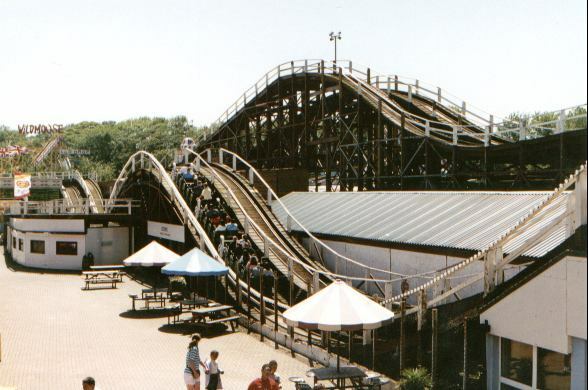 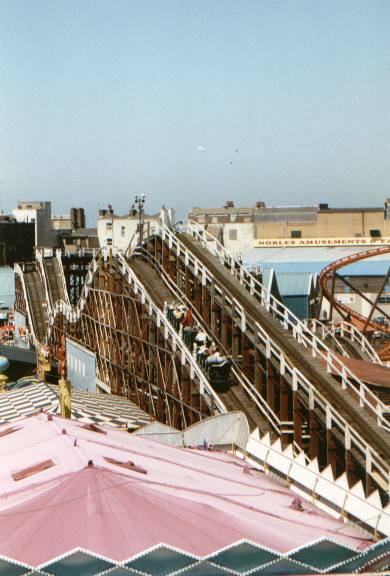 On 1 March 2002, the Scenic Railway roller coaster at Dreamland became a listed building, the first time an amusement park ride has been given heritage status. 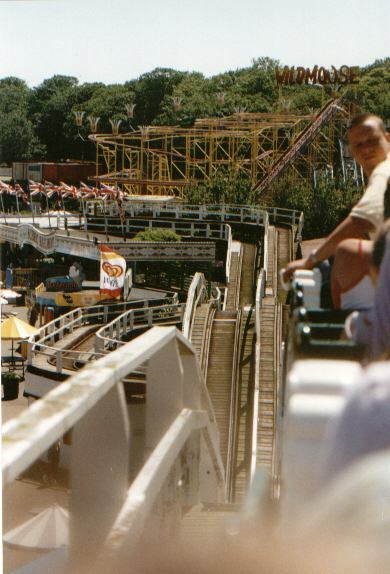 This gallery shows various photographs of the ride taken in the year it was listed. 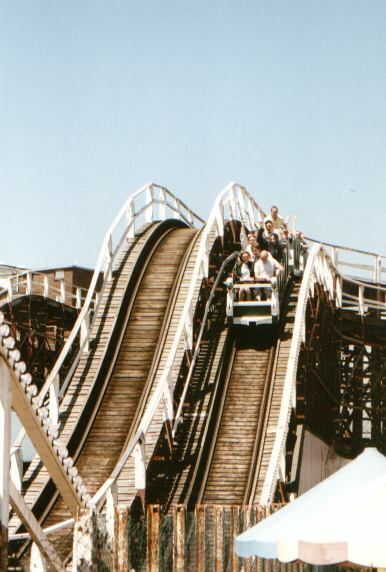 Click on a thumbnail to view. 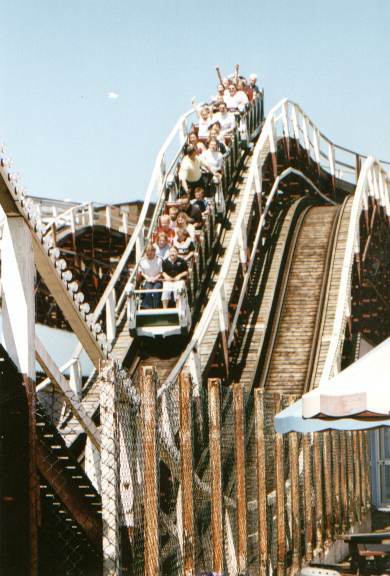 Detailing on the train The ride dominates the park The second turnaround The first drop. 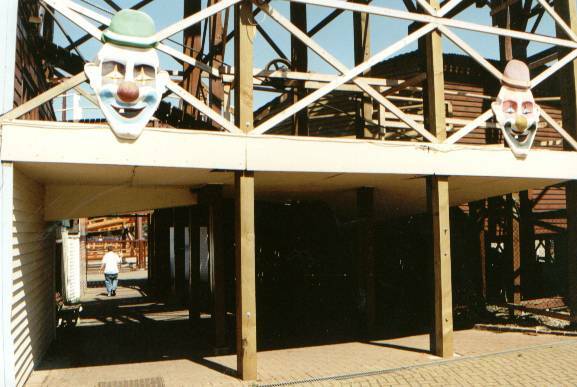 The "clown's tunnel"
All of the above photographs are available from the Amusement Park Photographic Library. 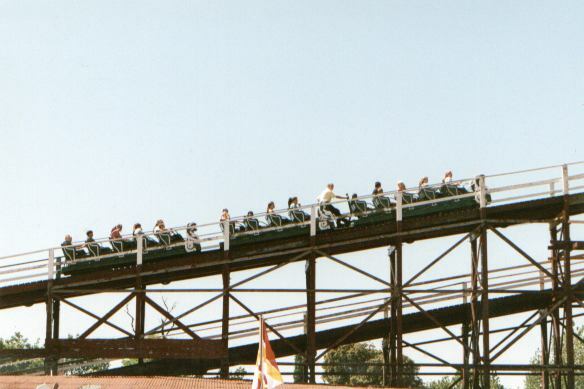 Photographs available for commercial use and personal use. 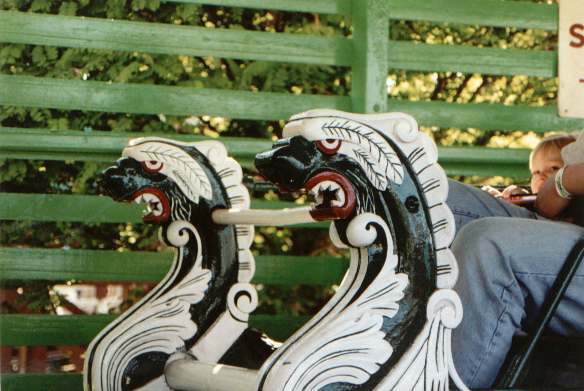 Note: The photographs on this page are low resolution versions of the photographs held by the Library.